There are a bunch of great wireless systems available to guitarists that allow lead-free playing. Check them out here online or come and ask our staff about how you can roam free when you play! Guitar wireless transmitter compatible with Spider V 60, 120 and 240. 1/4" transmitter works with nearly all guitar types. Just plug and play - no complicated setup required. 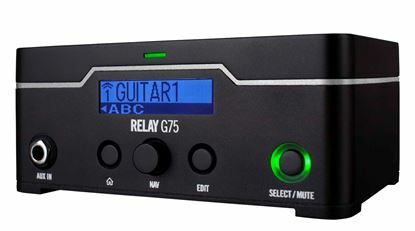 LINE 6 RELAY G10 A plug-and-play digital guitar wireless system that's as easy to use as a regular cable. 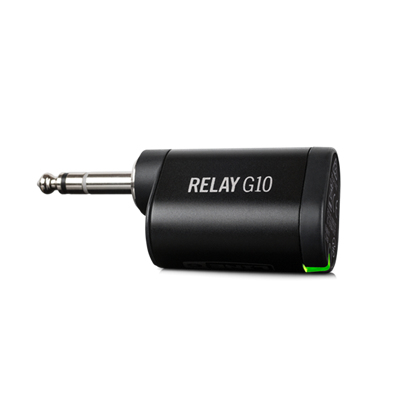 Featuring pure 24-bit Relay digital wireless sound quality, Relay G10 delivers guitar tone in amazing detail. G30 equals perfect tone through your wireless. LINE 6 Relay G90 12-channel rack-mountable 2.4GHz digital wireless guitar system with 300ft range, broad 10Hz-20kHz frequency response, superior 120dB dynamic range, and zero signal compression. System includes transmitter, 1RU rack-mountable receiver. Lightning-fast, ultra-low latency giving you the freedom to play your electric guitar wirelessly as you roam the stage, the house or the rehearsal room without a mess of cables holding you back. No complicated setup, no hassles and no mess. 10 hours of battery life will let you play without the fear of running out of battery. A wireless guitar system specifically optimised for acoustic guitar, keyboard and any other instrument that doesn't need cable tone simulation. No complicated setup, no hassles and no mess. 10 hours of battery life will let you play without the fear of running out of battery. Lightning-fast, ultra-low latency giving you the freedom to play your electric guitar wirelessly as you roam the stage, the house or the rehearsal room without a mess of cables holding you back. The WL50 receiver fits perfectly on your pedal board and occupies the same amount of space as the Boss compact pedals we all know and love. The affordable wireless transmitter which is compatible with Boss WL-20, WL-50, WL-20-L and Katana Air. No complicated setup, no hassles and no mess. 12 hours of battery life will let you play without the fear of running out of battery.